Give yourself social time. Give yourself professional development. Give yourself empathetic colleagues. Give yourself Moms’ Night Out! Find one. Make one. But get to one — a Moms’ Night Out! Homeschooling can be lonely, even when you’re surrounded by children. Sometimes — especially when you’re surrounded by children. Spending occasional time laughing and talking with adults is refreshing and helps you remember who you are when you are away from the children. Your homeschooling challenges have probably been encountered by someone else. They’ve tried things, been to workshops, and have books or websites to share. Gathering with other homeschool moms gives you opportunity to learn about new resources and gain wisdom from other moms’ experiences. And — you might be the one to reassure a new homeschooling mom or someone who has a child with a similar struggle that you have already dealt with. When homeschooling moms complain to non-homeschooling moms, there may be a quick response — “just put them in school.” Sometimes you need a listening ear, someone who knows you’re not really looking to change your approach to education that drastically, even if you do need to express frustration. After all, moms who struggle with some aspects of their children’s school wouldn’t all appreciate being told “just homeschool then.” While it might indeed solve some of their problems, it’s not really what’s on their agenda. Meeting with other homeschool moms means you have a chance to have your concerns heard by people who have made a similar commitment to homeschool — you’re much more likely to get appropriate empathy. We all need a little “been there; done that — here’s a tissue” now and then. 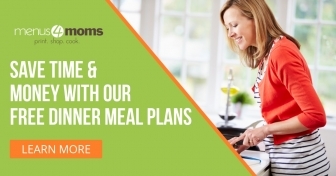 Your homeschool group or co-op may offer a monthly or quarterly Moms’ Night Out. Some are offered with a program or specific discussion topic — heavy on the “professional development.” Others are dinners held at a restaurant or potluck at a church or home — heavy on the social time and casual empathy. If your group doesn’t have a Moms’ Night Out, offer to coordinate one or a series. You can also get together without a formal group, just gathering a couple of friends for coffee and chocolate on your own. In general, Moms’ Night Out events are kid-free zones. Moms need the break, and they need some opportunity to be able to speak freely without worrying that someone else’s kid will overhear and “tell” other kids in the homeschool group about a sensitive discussion. When I’m the organizer, I tell others this is not a play date or the time to bring a tween with you to do homework at another table. Let’s keep the sanctity of Moms’ Night Out! However, I do make exceptions I hope you will consider also. I encourage moms to bring nursing babies and non-separating toddlers or children who have special needs who absolutely need to be with Mom. Nursing babies are really pretty easy in a group like this. Non-separating toddlers and children who have special needs may be a little bit more challenging, but let’s keep in mind that moms who have clingy toddlers or children who have special needs may be the most desperate for adult companionship of anyone. They may have a much harder time getting out and finding a social group while making sure their children’s very real needs are met. A rigid “absolutely no children” rule may have good intent for keeping a Moms’ Night Out focused on the adults, but it may prevent the attendance of a mom with a high-need toddler or a mom to a child who needs special attention but whose dad works the night shift — or whose dad is no longer in the picture. I know when I was in one of these situations, it was when I needed time with other moms most of all. In one community I lived in, we had what was locally called Moms Night Out Plus Barry, because Barry was the only dad who was in charge of spending his days homeschooling the kids. 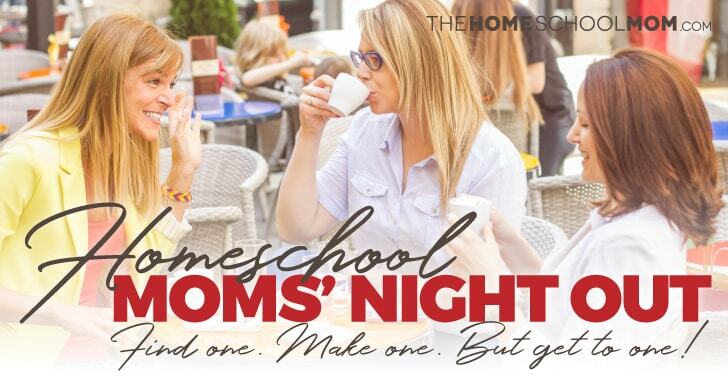 In many homeschooling communities today, it makes more sense to have a Parents’ Night Out than a Moms’ Night Out, since such an event is meant for the primary homeschooling parent in each family to have a break no matter whether they are moms or dads. But I’ve also seen new versions of Parents’ Night Out, where moms and dads are both invited to attend and there’s a babysitter at home with the kids. More moms and dads are tag teaming the homeschooling these days, and they all want to get together with other parents who are embarking on the same lifestyle. One of the groups near me also has Dads’ Night In — a night when dads get together to watch sports, play video games, or pursue other hobbies together as they get to know fellow homeschooling fathers. Another version of Dads’ Night In developed around one of my former groups’ Moms’ Night Out — all the dads and kids gathered at one house while the moms went out to a restaurant to enjoy dinner they did not cook. You can create the kind of parent event your homeschool community needs. In many cases, that will still be a Moms’ Night Out. Remember the flight attendants’ oxygen mask speech — “If you are travelling with a child or someone who requires assistance, secure your mask on first, and then assist the other person.” That’s because if you’re not functioning well, you won’t be able to help the child who is depending on you. Take the time to create or attend a Moms’ Night Out. After all socialization is not just for homeschooled kids.